Thailand’s annual energy consumption has risen sharply during the past decade and will continue its upward trend in the years to come. While energy demand has risen sharply, domestic sources of supply are limited, thus forcing a significant reliance on imports. To face this increasing demand, Thailand needs to produce more energy from its own renewable resources, particularly biomass wastes derived from agro-industry, such as bagasse, rice husk, wood chips, livestock and municipal wastes. In 2005, total installed power capacity in Thailand was 26,430 MW. Renewable energy accounted for about 2 percent of the total installed capacity. In 2007, Thailand had about 777 MW of electricity from renewable energy that was sold to the grid. Thailand’s vast biomass potential has been partially exploited through the use of traditional as well as more advanced conversion technologies for biogas, power generation, and biofuels. Rice, sugar, palm oil, and wood-related industries are the major potential biomass energy sources. The country has a fairly large biomass resource base of about 60 million tons generated each year that could be utilized for energy purposes, such as rice, sugarcane, rubber sheets, palm oil and cassava. Biomass has been a primary source of energy for many years, used for domestic heating and industrial cogeneration. 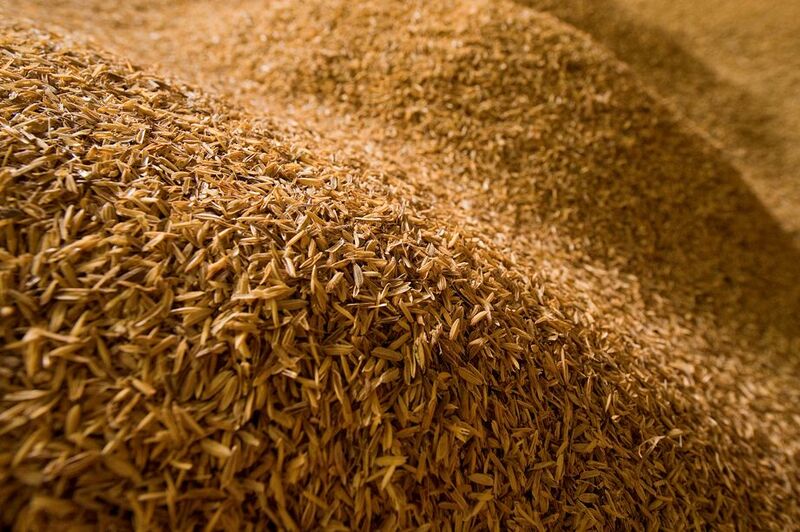 For example, paddy husks are burned to produce steam for turbine operation in rice mills; bagasse and palm residues are used to produce steam and electricity for on-site manufacturing process; and rubber wood chips are burned to produce hot air for rubber wood seasoning. In addition to biomass residues, wastewater containing organic matters from livestock farms and industries has increasingly been used as a potential source of biomass energy. Thailand’s primary biogas sources are pig farms and residues from food processing. The production potential of biogas from industrial wastewater from palm oil industries, tapioca starch industries, food processing industries, and slaughter industries is also significant. The energy-recovery and environmental benefits that the KWTE waste to energy project has already delivered is attracting keen interest from a wide range of food processing industries around the world. Vietnam is one of the few countries having a low level of energy consumption in the developing world with an estimated amount of 210 kg of oil equivalent per capita/year. Over half of the Vietnamese population does not have access to electricity. Vietnam is facing the difficult challenge of maintaining this growth in a sustainable manner, with no or minimal adverse impacts on society and the environment. 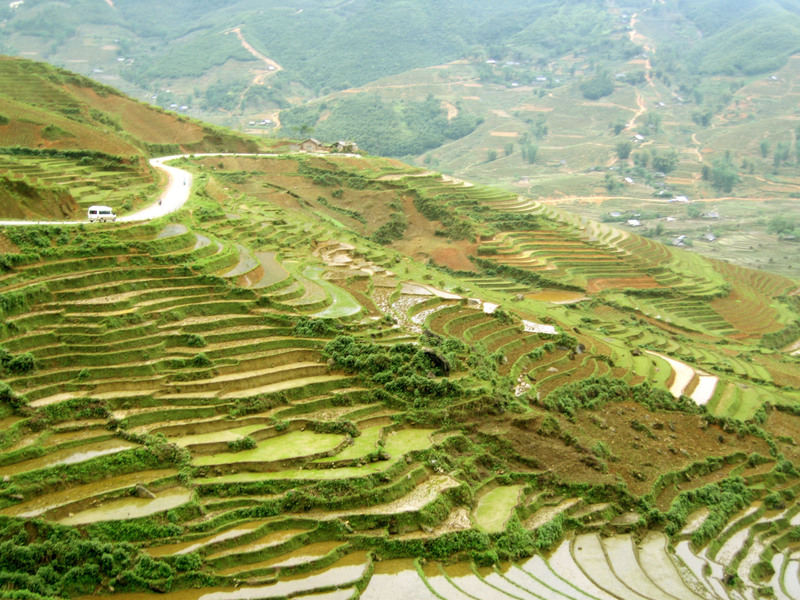 Being an agricultural country, Vietnam has very good biomass energy potential. 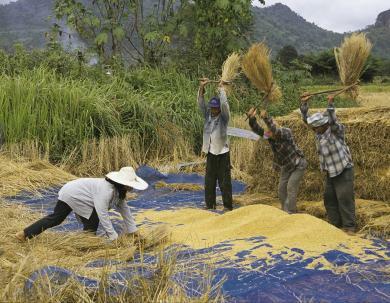 Agricultural wastes are most abundant in the Mekong Delta region with approximately 50% of the amount of the whole country and Red River Delta with 15%. Major biomass resources includes rice husk from paddy milling stations, bagasse from sugar factories, coffee husk from coffee processing plants in the Central Highlands and wood chip from wood processing industries. Vietnam has set a target of having a combined capacity of 500 MW of biomass power by 2020, which is raised to 2,000 MW in 2030. Rice husk and bagasse are the biomass resources with the greatest economic potential, estimated at 50 MW and 150 MW respectively. Biomass fuels sources that can also be developed include forest wood, rubber wood, logging residues, saw mill residues, sugar cane residues, bagasse, coffee husk and coconut residues. Currently biomass is generally treated as a non-commercial energy source, and collected and used locally. Nearly 40 bagasse-based biomass power plants have been developed with a total designed capacity of 150 MW but they are still unable to connect with the national grid due to current low power prices. Five cogeneration systems selling extra electricity to national grid at average price of 4UScents/kWh. Biogas energy potential is approximately 10 billion m3/year, which can be collected from landfills, animal excrements, agricultural residues, industrial wastewater etc. The biogas potential in the country is large due to livestock population of more than 30 million, mostly pigs, cattle, and water buffalo. Although most livestock dung already is used in feeding fish and fertilizing fields and gardens, there is potential for higher-value utilization through biogas production. It is estimated that more than 25,000 household biogas digesters with 1 to 50 m3, have been installed in rural areas. The Dutch-funded Biogas Program operated by SNV Vietnam constructed some 18,000 biogas facilities in 12 provinces between 2003 and 2005, with a second phase (2007-2010) target of 150,000 biogas tanks in both rural and semi-urban settings. Municipal solid waste is also a good biomass resource as the amount of solid waste generated in Vietnam has been increasing steadily over the last few decades. In 1996, the average amount of waste produced per year was 5.9 million tons per annum which rose to 28 million tons per in 2008 and expected to reach 44 million tons per year by 2015. Large quantities of agricultural wastes, resulting from crop cultivation activities, are a promising source of energy supply for production, processing and domestic activities in rural areas of the concerned region. The available agricultural residues are either being used inefficiently or burnt in the open to clear the fields for subsequent crop cultivation. On an average 1.5 tons of crop residue are generated for processing 1 ton of the main product. In addition, substantial quantities of secondary residues are produced in agro-industries processing farm produce such as paddy, sugarcane, coconut, fruits and vegetables. Agricultural crop residues often have a disposal cost associated with them. Therefore, the “waste-to-energy” conversion processes for heat and power generation, and even in some cases for transport fuel production, can have good economic and market potential. They have value particularly in rural community applications, and are used widely in countries such as Sweden, Denmark, Netherlands, USA, Canada, Austria and Finland. The energy density and physical properties of agricultural biomass wastes are critical factors for feedstock considerations and need to be understood in order to match a feedstock and processing technology. There are six generic biomass processing technologies based on direct combustion (for power), anaerobic digestion (for methane-rich biogas), fermentation (of sugars for alcohols), oil exaction (for biodiesel), pyrolysis (for biochar, gas and oils) and gasification (for carbon monoxide and hydrogen-rich syngas). These technologies can then be followed by an array of secondary treatments (stabilization, dewatering, upgrading, refining) depending on specific final products. It is well-known that power plants based on baled agricultural residues are efficient and cost-effective energy generators. 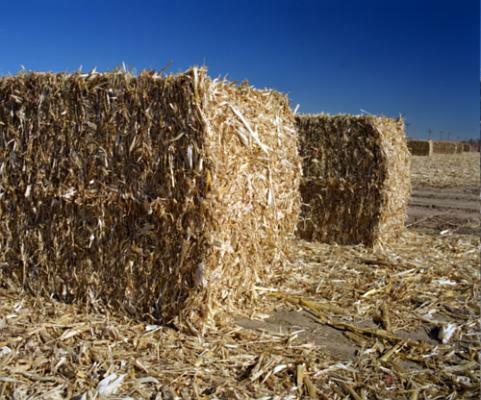 Residues such as Rice Husks, Wheat Straw and Maize Cobs are already concentrated at a point where it is an easily exploitable source of energy, particularly if it can be utilized on-site to provide combined heat and power. The selection of processing technologies needs to be aligned to the nature and structure of the biomass feedstock and the desired project outputs. It can be seen that direct combustion or gasification of biomass are appropriate when heat and power are required. Anaerobic digestion, fermentation and oil extraction are suitable when specific biomass wastes are available that have easily extractable oils and sugars or high water contents. On the other hand, only thermal processing of biomass by pyrolysis can provide the platform for all of the above forms of product. Many thermal processing technologies for agricultural wastes require the water content of biomass to be low (<15 per cent) for proper operation. For these technologies the energy cost of drying can represent a significant reduction in process efficiency. Moisture content is of important interest since it corresponds to one of the main criteria for the selection of energy conversion process technology. Thermal conversion technology requires biomass fuels with low moisture content, while those with high moisture content are more appropriate for biological-based process such as fermentation or anaerobic digestion. The ash content of biomass influences the expenses related to handling and processing to be included in the overall conversion cost. On the other hand, the chemical composition of ash is a determinant parameter in the consideration of a thermal conversion unit, since it gives rise to problems of slagging, fouling, sintering and corrosion. With Indonesia’s recovery from the Asian financial crisis of 1998, energy consumption has grown rapidly in past decade. The priority of the Indonesian energy policy is to reduce oil consumption and to use renewable energy. For power generation, it is important to increase electricity power in order to meet national demand and to change fossil fuel consumption by utilization of biomass wastes. The development of renewable energy is one of priority targets in Indonesia. It is estimated that Indonesia produces 146.7 million tons of biomass per year, equivalent to about 470 GJ/y. Sources of biomass energy in Indonesia are scattered all over the country, but the biggest potential in concentrated scale can be found in the Island of Kalimantan, Sumatera, Irian Jaya and Sulawesi. Studies estimate the electricity generation potential from the roughly 150 Mt of biomass residues produced per year to be about 50 GW or equivalent to roughly 470 GJ/year. 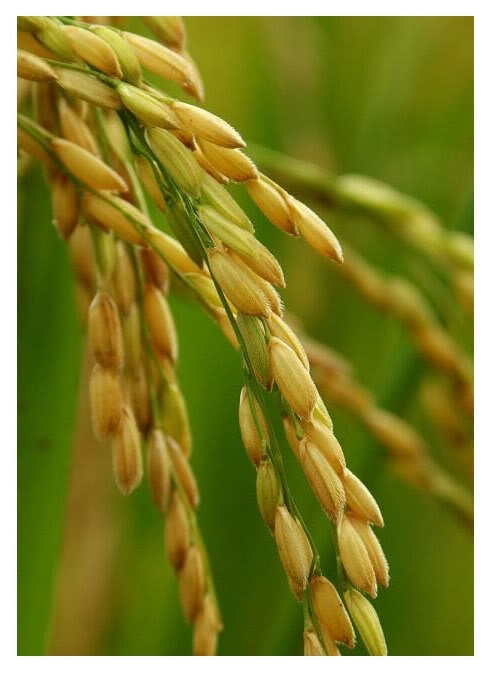 These studies assume that the main source of biomass energy in Indonesia will be rice residues with a technical energy potential of 150 GJ/year. Other potential biomass sources are rubber wood residues (120 GJ/year), sugar mill residues (78 GJ/year), palm oil residues (67 GJ/year), and less than 20 GJ/year in total from plywood and veneer residues, logging residues, sawn timber residues, coconut residues, and other agricultural wastes. Sustainable and renewable natural resources such as biomass can supply potential raw materials for energy conversion. In Indonesia, they comprise variable-sized wood from forests (i.e. 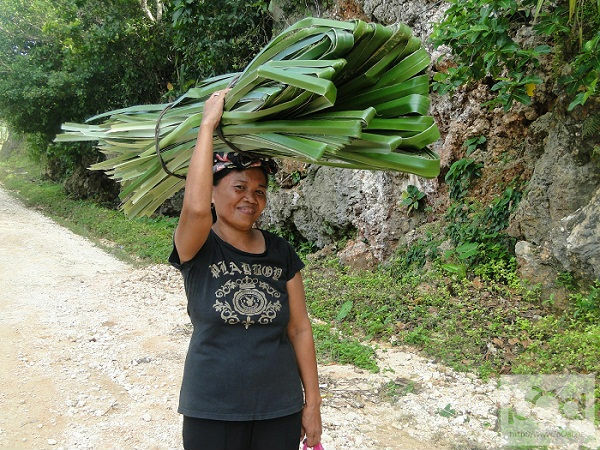 natural forests, plantations and community forests that commonly produce small-diameter logs used as firewood by local people), woody residues from logging and wood industries, oil-palm shell waste from crude palm oil factories, coconut shell wastes from coconut plantations, as well as skimmed coconut oil and straw from rice cultivation. The major crop residues to be considered for power generation in Indonesia are palm oil sugar processing and rice processing residues. Currently, 67 sugar mills are in operation in Indonesia and eight more are under construction or planned. The mills range in size of milling capacity from less than 1,000 tons of cane per day to 12,000 tons of cane per day. Current sugar processing in Indonesia produces 8 millions MT bagasse and 11.5 millions MT canes top and leaves. There are 39 palm oil plantations and mills currently operating in Indonesia, and at least eight new plantations are under construction. Most palm oil mills generate combined heat and power from fibres and shells, making the operations energy self –efficient. 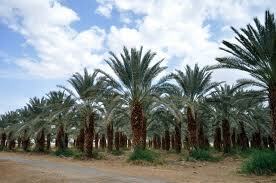 However, the use of palm oil residues can still be optimized in more energy efficient systems. Other potential source of biomass energy can also come from municipal wastes. The quantity of city or municipal wastes in Indonesia is comparable with other big cities of the world. 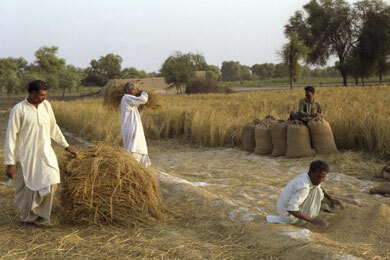 Most of these wastes are originated from household in the form of organic wastes from the kitchen. At present the wastes are either burned at each household or collected by the municipalities and later to be dumped into a designated dumping ground or landfill. Although the government is providing facilities to collect and clean all these wastes, however, due to the increasing number of populations coupled with inadequate number of waste treatment facilities in addition to inadequate amount of allocated budget for waste management, most of big cities in Indonesia had been suffering from the increasing problem of waste disposals. 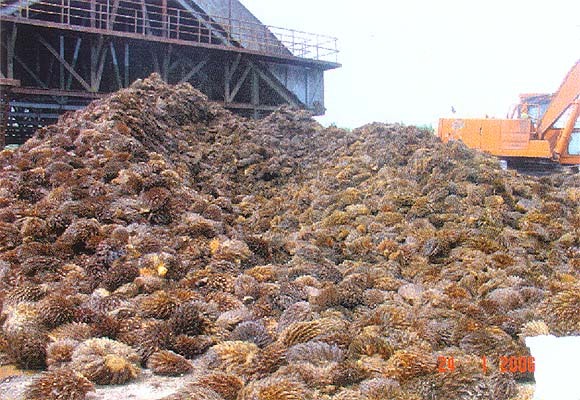 The current pressure for cost savings and competitiveness in Indonesia’s most important biomass-based industries, along with the continually growing power demands of the country signal opportunities for increased exploitation of biomass wastes for power generation. Malaysia is blessed with abundant renewable sources of energy, especially biomass and solar. Under the Eighth Malaysian Plan, renewable energy was added in the energy mix to unveil a Five-Fuel Strategy to achieve 5 percent contribution by 2005. Among the various sources of renewable energy, bioenergy seems to be the most promising option for Malaysia. The National Biofuel Policy, launched in 2006 encourages the use of environmentally friendly, sustainable and viable sources of biomass energy. Under the Five Fuel Policy, the government of Malaysia has identified biomass as one of the potential renewable energy. Malaysia produces atleast 168 million tonnes of biomass, including timber and oil palm waste, rice husks, coconut trunk fibres, municipal waste and sugar cane waste annually. Being a major agricultural commodity producer in the region Malaysia is well positioned amongst the ASEAN countries to promote the use of biomass as a renewable energy source. Malaysia has been one of the world’s largest producers and exporters of palm oil for the last forty years. 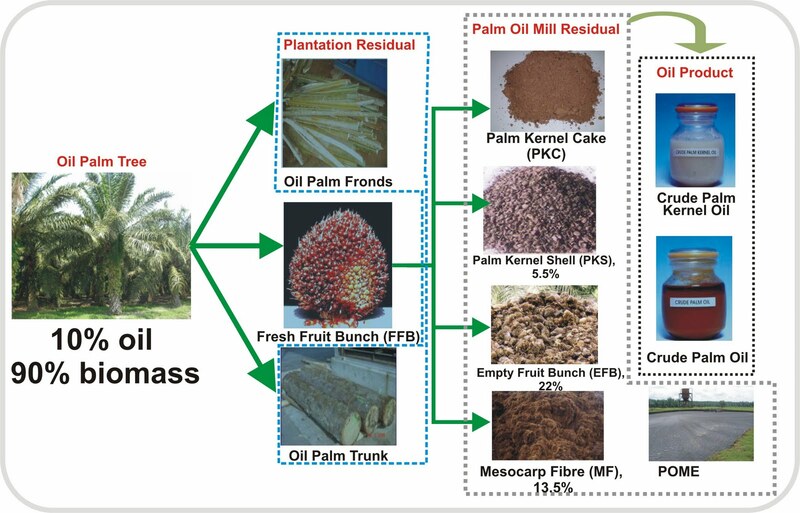 The Palm Oil industry, besides producing Crude Palm Oil (CPO) and Palm Kernel Oil, produces Palm Shell, Press Fibre, Empty Fruit Bunches (EFB), Palm Oil Mill Effluent (POME), Palm Trunk (during replanting) and Palm Fronds (during pruning). Malaysia has approximately 4 million hectares of land under oil palm plantation. Over 75% of total area planted is located in just four states, Sabah, Johor, Pahang and Sarawak, each of which has over half a million hectares under cultivation. The total amount of processed FFB (Fresh Fruit Bunches) was estimated to be 75 million tons while the total amount of EFB produced was estimated to be 16.6 million tons. Around 58 million tons of POME is produced in Malaysia annually, which has the potential to produce an estimated 15 billion m3 of biogas can be produced each year. Malaysia is the world’s second largest producer of crude palm oil. Almost 70% of the volume from the processing of fresh fruit bunch is removed as wastes in the form of empty fruit bunches, palm kernel shells, palm oil mill effluent etc. With more than 423 mills in Malaysia, this palm oil industry generated around 80 million dry tonnes of biomass in 2010. Malaysia has more than 2400 MW of biomass and 410 MW of biogas potential, out of which only 773MW has been harnessed until 2011. Rice husk is another important agricultural biomass resource in Malaysia with good potential for power cogeneration. An example of its attractive energy potential is biomass power plant in the state of Perlis which uses rice husk as the main source of fuel and generates 10 MW power to meet the requirements of 30,000 households. The US$15 million project has been undertaken by Bio-Renewable Power Sdn Bhd in collaboration with the Perlis state government, while technology provider is Finland’s Foster Wheeler Energia Oy. Under the EC-ASEAN Cogeneration Program, there are three ongoing Full Scale Demonstration Projects (FSDPs) – Titi Serong, Sungai Dingin Palm Oil Mill and TSH Bioenergy – to promote biomass energy systems in Malaysia. The 1.5MW Titi Serong power plant, located at Parit Buntar (Perak), is based on rice husk while the 2MW Sungai Dingin Palm Oil Mill project make use of palm kernel shell and fibre to generate steam and electricity. The 14MW TSH Bioenergy Sdn Bhd, located at Tawau (Sabah), is the biggest biomass power plant in Malaysia and utilizes empty fruit bunches, palm oil fibre and palm kernel shell as fuel resources.